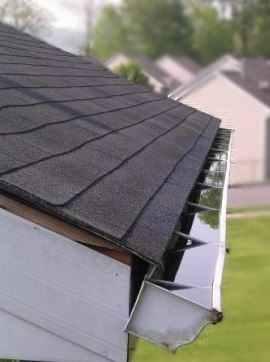 Gutters can turn from a necessity to a nightmare if not properly cared. Most homeowners do not recognize the need for gutter cleaning service until it is too late. It is a risky task you take a tall ladder and also double work if you fall the debris leaves on the ground. At Midland Gutter Pros, located in Midland, Michigan we specialize in keeping your house free from water damage. We clean, install, heat, repair and maintain gutters to ensure safe drainage system.Causes of clogging include; wet and dry leaves, sticks, helicopter plants, soil, and other debris. Aluminum gutters: we install and repair, provide cleaning and maintenance services. Down Spout Repairs: it is the core of the drainage system, we unblock if it is clogged thus causing overflowing. ​Fascia replacement or repair: if the fascia board is damaged we carry out replacement and repair.Gutter cleaning; our approach is professional; we begin with the downspout, then, removal of the debris with a trowel as we dumb in a bucket and finally cleaning the finer materials. Gutter Installation: we can purchase on your behalf the materials needed, we gather our tools, mark gutter placement, construct a line and before you know it will be in place. Gutter maintenance; include all the services to enable its proper functioning, such as collection of debris and correcting the one that sag or leak. Gutter repairs: any drain that is leaking it is our duty to repair. Heated gutters; say goodbye to the ice buildup on your channel as we have the most efficient way of melting it without overheating. If clogged it may cause a leaky room or water damage which may cause severe structural problems when the water freezes during winter.They also make good homes for rodents, pest and honeycombs Protection from the mold which hastens the decaying of any exposed wooden components of a house. If you notice plants are growing on the watercourse. If the drain is visibly sagging, If waterfalls leak after rainfall from the gutter. Change in season; from summer to fall and winter to spring. If excessive leaves are clogging the spout and if it has been more than a year since it was last cleaned. Square footage, Number of stories, If the area requires working over or around obstacles, If you need gutter guards.